We install stable doors in the towns of Thame, Oxford, Bicester and Aylesbury and the counties of Buckinghamshire and Oxfordshire. Traditional Country Charm, Modern Performance. Contemporary Standards of Thermal Efficiency. Stable doors are the ideal way for you to bring a traditional feel to your home that has been updated to meet the expectations of the modern day. This means that you’ll be able to enjoy all the aspects of a stable door that has made them so popular, without having to endure any outdated standards of thermal efficiency, performance, durability or weatherproofing. The dual sash design of stable doors allows you to bring a degree of multi-functionality to your property. This will enable you to alter the ventilation, light allowance, accessibility and safety of your home without necessarily reducing overall security. They are sure to be a fantastic new addition to your home, bringing you lasting quality long after their initial installation. All of our stable doors are manufactured using a high performance, multi-chambered uPVC profile that works to increase the heat retention of your property. This combines with a high-performance weather gasket to keep the warmth in and the cold winds out, ensuring your home remains comfortable throughout the colder winter months. 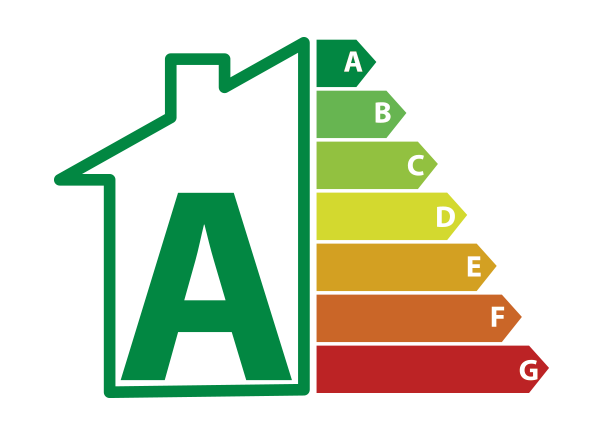 This standard of performance also brings economical and environmental benefits to your home, as keeping the warmth from your central heating in your home for a longer period of time can help you to reduce your heating bills and carbon footprint across the course of the year. With stable doors form Omega Homestyle, you can rest assured that you’re getting the best. 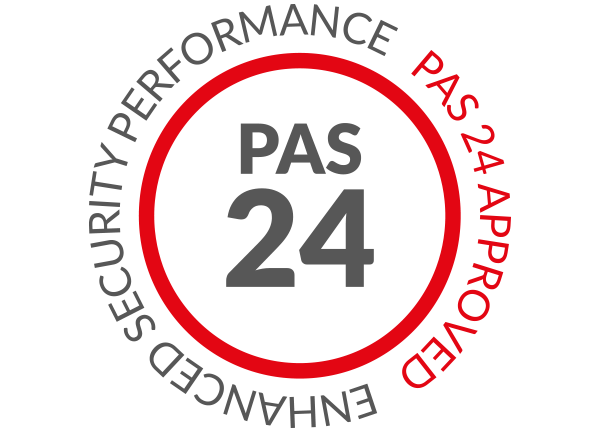 We want you to feel safe and comfortable in your home, which is why we always strive to offer you a product that excels in security. With this, our stable doors are of no exception. The designs that we offer are manufactured from premium grade materials to capture a heightened degree of structural integrity, which is then enhanced with high performance locking systems. Both of these factors help to protect your home from modern burglary techniques, allowing you to rest assured that your stable doors both look and perform to the right standards. 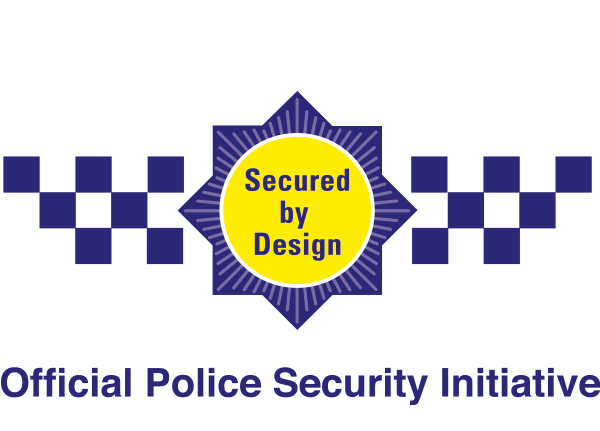 To maximise security performance, we make sure to professionally install all stable doors to ensure they are the perfect fit, and integrate locking systems into the frame to prevent easy access. Bring a personal touch to your stable door design with our wide selection of high-quality colours, allowing you to tailor the door to suit your personal tastes and property style. It won’t matter if your home is modern, traditional, period, heritage or a new build we’ll be able to offer you something that perfectly suits what you’re after. We also offer a range of high-performance hardware options for you to choose from, including handles and hinges, to help you bring a subtle and bespoke touch to your home. All of the colours that we offer are applied with a highly durable coating, which prevents them from peeling, flaking or discolouring over time or when exposed to the elements. Visit our online quoting engine to get a free, instant and competitive stable doors price. Our easy to use and modern tool features a simple step by step process that enables you to get a price that has been tailored to your exact specifications. You can also get in touch with us via our online contact form should you wish to talk to a member of our friendly team. We’ll be more than happy to offer you a quote this way if you’d prefer, of we’ll be on hand to answer any questions that you may have about our doors or other products. Stable doors comprise a signature design, which features a dual sash opening functionality to offer a unique addition to your home. Stable doors are instantly recognisable for their definitive country look, allowing you to bring a taste of the countryside to your property. Unlike their original timber versions, our uPVC timber doors will require very little input from you to ensure they continue to bring the best. All of our stable doors are fitted with high performance weather seals, keeping draughts and water ingress out of your home. Our modern stable doors feature specially designed locking systems, bypassing any potential weak spots that could come with the dual sash design. These doors are designed to keep any adverse British weather at bay, allowing you to remain warm and comfortable during the colder winter months. What Are Stable Doors Made Of? 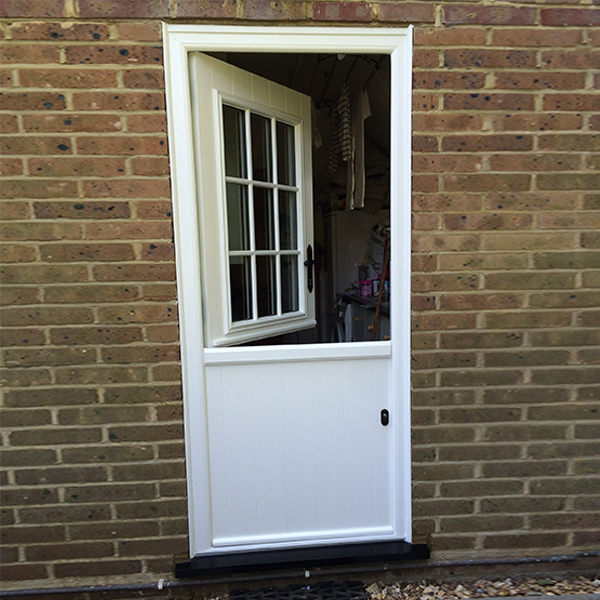 Traditional stable doors were manufactured from uPVC. However, our modern options are manufactured using premium grade uPVC. How Do Stable Doors Open? Stable doors are split horizontally across the middle, allowing the top and bottom sashes to operate separately from each other on an open in or open out basis. Stable doors have been updated to meet modern standards, while still retaining the character and charm of their original door design.